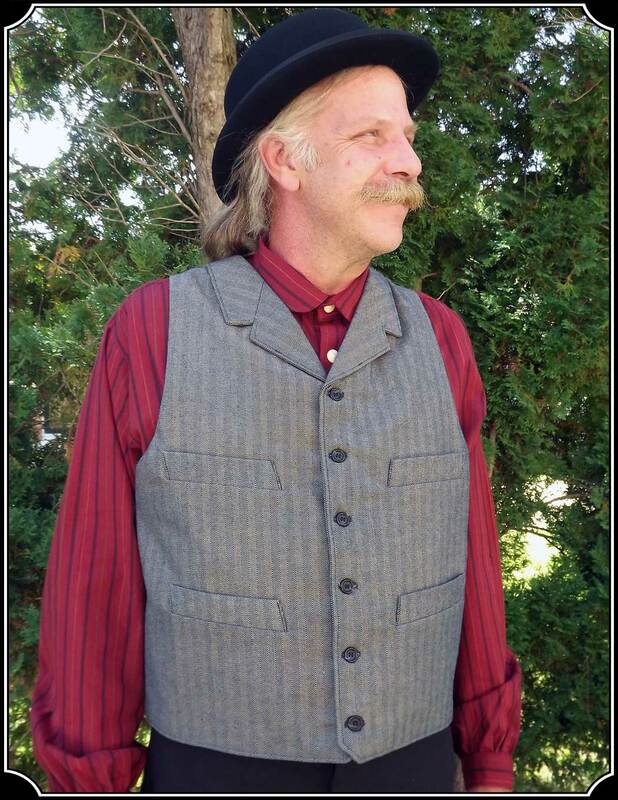 Handsome and Fashionable, this Notch Lapel Cowboy Vest is made with a Tan and Blue Herringbone Cotton with matching tan back and lining. 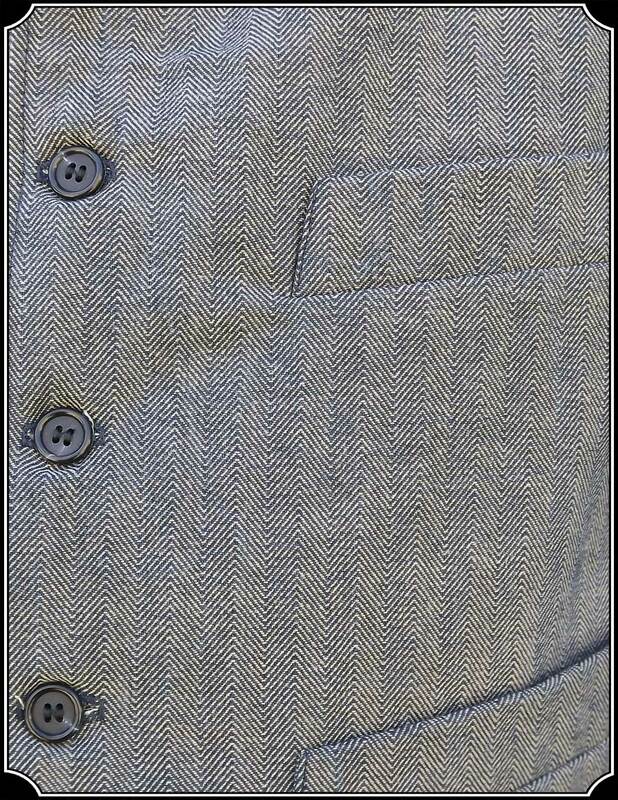 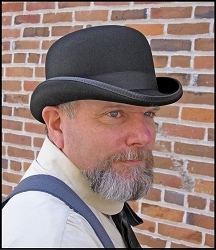 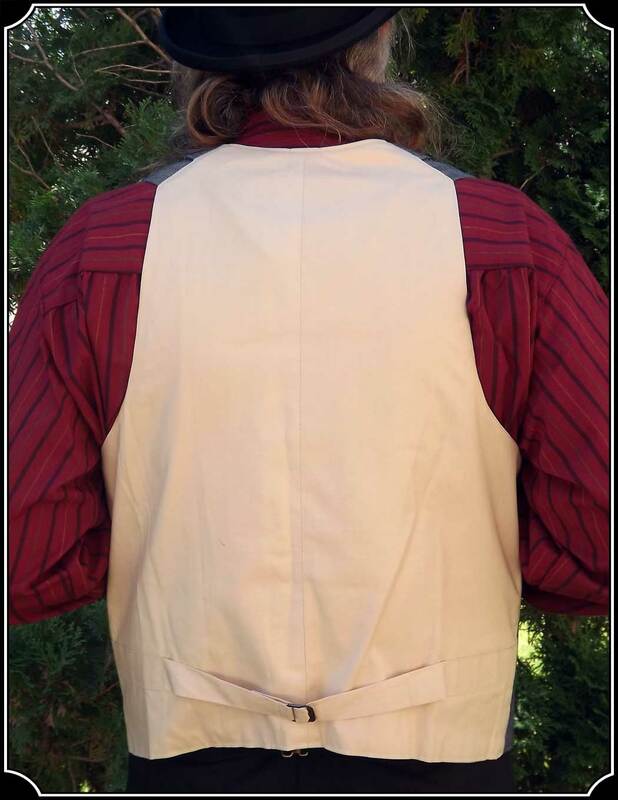 Featuring 4 Pockets, and a cinch in the back, you will always look the Dandy and impress the Ladies. 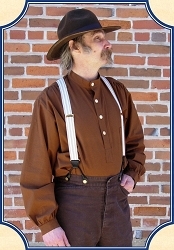 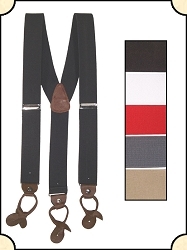 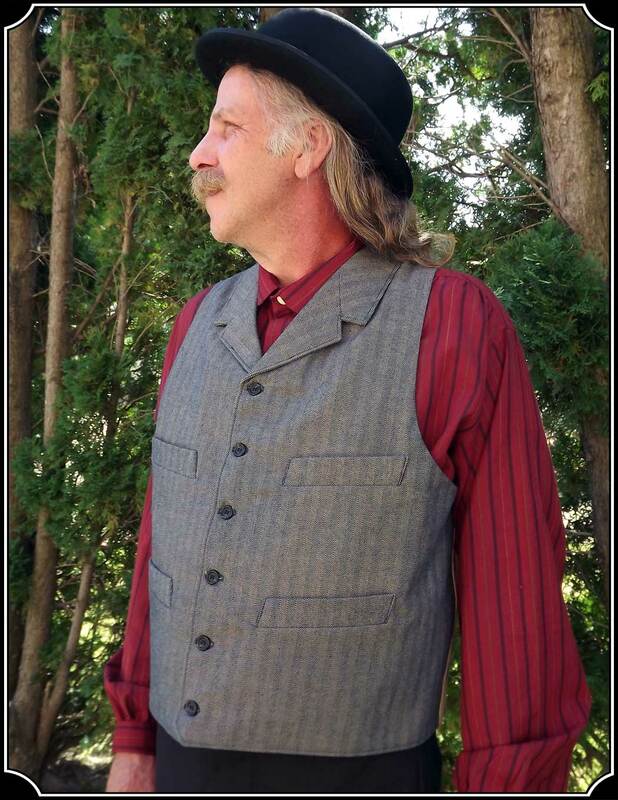 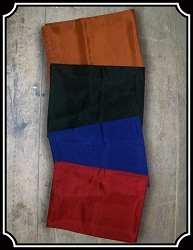 Made by Heirloom Brand, this vest is authentic to the mid to late 19th Century and will suit any Cowboy or Gentleman.